1942 - A PBY 5A aircraft successfully fires the first airborne retro-rocket at Goldstone Lake, Calif.
George Washington takes command of the Continental Army. In Paris, the Marquis de Condorcet proposes granting civil rights to women. American ambassador Caleb Cushing successfully negotiates a commercial treaty with China. Confederate forces attack the center of the Union line at Gettysburg, but fail to break it. John Wise flies the first dirigible in Lancaster, Pennsylvania. The Wild Bunch, led by Butch Cassidy, commits its last American robbery near Wagner, Montana, taking $65,000 from a Great Northern train. The first cable across the Pacific Ocean is spliced between Honolulu, Midway, Guam and Manila. The U.S. First Army opens a general offensive to break out of the hedgerow area of Normandy, France. U.S. troops land at Balikpapan and take Sepinggan airfield on Borneo in the Pacific. U.S. carrier-based planes attack airfields in the Pyongyang-Chinnampo area of North Korea in the first air-strike of the Korean War. Food rationing ends in Great Britain almost nine years after the end of World War II. Jackie Robinson becomes the first African American to be inducted into the National Baseball Hall of Fame. North Vietnamese soldiers attack South Vietnam's only producing coal mine at Nong Son. This was the era just before TV when radio shows were huge, and American families sat around their radios in the evenings, listening to their favorite entertainers, and no entertainer of that era was bigger than Kate Smith. Kate was also large -- plus size, as we now say, and the popular phrase still used today is in deference to her: "It ain't over till the fat lady sings." Kate was also patriotic. It hurt her to see Americans so depressed and afraid of what the next day would bring. She had hope for America and faith in her fellow Americans. She wanted to do something to cheer them up. So she went to the famous American song-writer, Irving Berlin (who also wrote "White Christmas") and asked him to write a song that would make Americans feel good again about their country. When she described what she was looking for, he said he had just the song for her. He went to his files and found a song that he had written but never published, 22 years before in 1917. He gave it to her, and she worked on it with her studio orchestra. She and Irving Berlin were not sure how the song would be received by the public, but both agreed they would not take any profits from God Bless America. Any profits would go to the Boy Scouts of America. Over the years, the Boy Scouts have received millions of dollars in royalties from this song. This video starts out with Kate Smith coming into the radio studio with the orchestra and an audience. She introduces the new song for the very first time and starts singing. After the first couple verses, with her voice in the background still singing, scenes are shown from the 1940 movie, "You're In the Army Now." At the 4:20 mark of the video you see a young actor in the movie, sitting in an office, reading a paper; it's Ronald Reagan. To this day, "God Bless America" stirs our patriotic feelings and pride in our country. Back in 1940, when Kate Smith went looking for a song to raise the spirits of her fellow Americans, I doubt whether she realized just how successful the results would be for her fellow Americans during those years of hardship and worry -- and for many generations of Americans to follow. Now that you know the story of the song, I hope you'll enjoy it and treasure it even more. Many people don't know there's a lead in to the song since it usually starts with "God Bless America." I was born July 4, 1776, and the Declaration of Independence is my birth certificate. The blood lines of the world run in my veins because I offered freedom to the oppressed. I am many things, and many people. I am the Nation. I am 200,000,000 living souls---and the ghosts of millions who have lived and died for me. I am Nathan Hale and Paul Revere. I stood at Lexington and fired the shot heard around the world. I am Washington, Jefferson, and Patrick Henry. I am John Paul Jones and the Green Mountain Boys, and Davy Crockett. I am Lee and Grant and Abe Lincoln. I remember the Alamo, the Maine, and Pearl Harbor. When freedom called, I answered and stayed until it was over, over there. I left my heroic dead in Flanders Fields on the rock of Corregidor, and on the bleak slopes of Korea. I am the Brooklyn Bridge, the wheatlands of Kansas, and the granite hills of Vermont.. .1 am big; I sprawl from the Atlantic to the Pacific. I am more than 4,000,000 farms. I am forest, fields, mountain and desert. I am quiet villages and cities that never sleep. You can look at me and see Ben Franklin walking down the streets of Philadelphia with his loaf of bread under his arm. I am Babe Ruth and the World Series. I am 169,000 schools and colleges and 250,000 churches where my people worship God as they think best. I am a ballot dropped in a box, the roar of a crowd in a stadium, and the voice of a choir in a cathedral. I am an editorial in a newspaper and letter to a congressman. I am Eli Whitney and Stephen Foster. I am Tom Edison, Albert Einstein, and Billy Graham. I am Horace Greeley, Will Rogers, and the Wright Brothers. I am George Washington Carver, Daniel Webster, and Jonas Salk. I am Longfellow, Harriet Beecher Stowe, Walt Whitman, Thomas Paine. Yes, I am the Nation. I was conceived in freedom and, God willing, in freedom will I spend the rest of my days. May I always possess the integrity, the courage and the strength to keep myself unshackled, to remain a citadel of freedom and a beacon of hope to the world. If you are unable to make it to a fireworks show this year, you may enjoy this one recorded in 2013. Some of you regulars here at American Thinker may know that I also post at a combat veteran-operated military website called This Ain't Hell. Its primary mission is exposing Stolen Valor fraud, that is, going after those sleazy types who dishonestly claim military service, deeds, heroism, and awards which they did not perform or earn, and shining the bright, hot light of Internet fame on them. Since 2008, TAH has exposed more than 2,000 of these valor thieves, many of whom appear in this rogue's gallery, a place you most surely do not want your mug to be plastered, for as they say, the Internet is forever. Vietnam War hero Lieutenant General Hal Moore was made famous by his heroic leadership at the Battle of Ia Drang, the U.S. Army's first major set-piece battle in that war where Moore and the legendary 7th Cavalry fought off a much larger North Vietnamese Army force. A widely acclaimed book, We Were Soldiers Once... And Young, written by Moore and Joseph L. Galloway, a war reporter present throughout the battle, made Moore famous outside the military. A movie based on that book starring Mel Gibson as Moore made the by-then-retired, three-star general an American icon. Sadly, the old warhorse left us earlier this year. My involvement with Moore was very brief and strictly by chance. My unit, the 2d Battalion, 327th Airborne Infantry was engaged with a much larger NVA force at a hamlet called Trung Luong in June 1966. The 1st Air Cavalry Division was tapped to assist. Moore, a full colonel and brigade commander by then, led the relief force, a battalion of the 8th Cavalry Regiment. He blew through the blackout flaps of our Forward Tactical Operations Center like a tall, lean whirlwind and within minutes I found myself designated his tactical net radio operator within the TOC. For the better part of the next two days, I issued and rescinded endless streams of commands and instructions as his voice to the rifle companies except when he grabbed the handset, as he did frequently, and barked out orders himself. At the conclusion of the battle, when the enemy regiments had withdrawn from the field, he boarded his command chopper and I never saw him again. However, for the remainder of my life, much of which was spent on military installations all over the country, I have told countless listeners of this fierce colonel who embodied the image of the lean, mean Airborne Ranger infantry officer. That statue at Fort Benning could well be him. 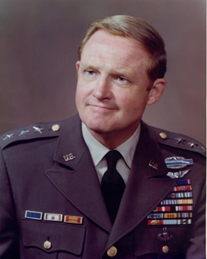 Last week I received an email from an old Cav trooper buddy which I thought might interest readers of American Thinker but especially the valor hunters at This Ain't Hell: via Lt General Hal Moore's son. I had a question about Dad's Purple Heart. As you can see from his official picture, it is not on his chest. 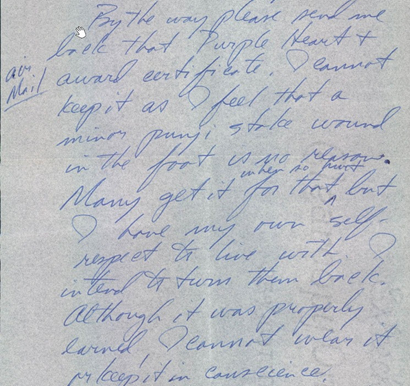 In this letter home from Vietnam, he explains: "By the way please send me back that Purple Heart and award certificate. I cannot keep it as I feel that a minor punji stake wound in the foot is no reason. Many get it for that when so hurt, but I have my own self-respect to live with. I intend to turn them back. Although it was properly earned, I cannot wear it or keep it in conscience." Dad was unsuccessful in his effort to return it. Once something is awarded, it is final. But, it was his choice not to wear it out of respect for those who paid a much higher price. As someone who saw others wounded by punji stakes and who himself once came within inches and seconds of planting his jump boots into a punji pit, I can assure you that such wounds can be no small matters, even life-threatening. 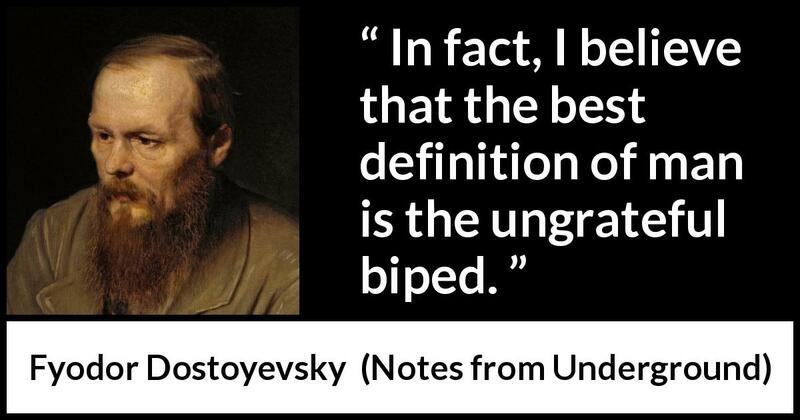 Yet here was an infantry leader turning down a duly awarded Purple Heart, his nation's oldest and most cherished award, for a legitimate injury, because he considered it too minor. Now can you, for even a moment, imagine John Kerry possessing the honor and self-respect to do that? It would be a most fitting punishment to all Stolen Valor thieves exposed by This Ain't Hell and other such organizations for local judges to require the perpetrators to stand in their courtrooms and eat a copy of General Moore's award citation, printed on heavy formal presentation stock. John Kerry should have to do that, too, except while standing on the steps of the Capitol holding a wooden model Swift Boat. Page 1″ "Joint Chiefs Back Troop Rise Asked By Westmoreland"… "The Joint Chiefs of Staff have warned the Johnson Administration that if General Westmoreland's minimum request of 70,000 more troops is not met, the United States will run a high risk of losing the initiative in the ground war in South Vietnam. The warning was contained in a recommendation by the Joint Chiefs of Staff to Secretary of Defense Robert S. McNamara that the Administration grant General Westmoreland's request for two-more combat divisions and supporting units by mid-1968. The recommendation was submitted on 20 April and there has been no action on it. "… Page 3: "Newsweek Prints Issue on Vietnam"… "Magazine Assesses Impact of Conflict on U.S."... "…an examination in-depth of the impact of Vietnam on major segments of U.S. society. 'The nation stands divided on bloody jungle war whose beginnings are last in controversy and whose outcome is unpredictable. The crisis in conscience has spilled over into the streets in massive demonstrations and counter-demonstrations. So incendiary have feelings become that close-knit families have had to agree to disagree bout Vietnam at the dinner table. More than anything Vietnam has made Americans question their fundamental assumptions about themselves and their country…' "
HUMBLE HOST note: Our country was at a turning point. In mid-July 1967 52% of Americans disapproved of President Johnson's handling of the Vietnam war. Approval had dropped to 34%. When asked if the country had "made a mistake sending troops to fight in Vietnam," 54% said Yes. The Newsweek Vietnam edition coincided with the first of the hard questions and media interest in the Gulf of Tonkin incident. The President's credibility was now the focus of the Doves. "He lied to us." 3 July 1967… The President's TS Daily CIA Brief: SOUTH VIETNAM: Information is still coming in on the armed forces meetings last week which hammered out the agreement between Ky and Thieu. At this point, it seems Thieu's uncompromising attitude may well have alienated some of the key generals while Ky's behavior generated considerable admiration among them...ARAB STATES-ISRAEL: The Israelis do not give much importance to the minor clashes with Egyptian troops that took place over the weekend on the banks of the Canal. More such clashes have occurred today.…COMMUNIST CHINA: Liu Shao-chi may have been formally overthrown as head of state as the US newspapers are saying, but this signifies little. He was deprived of all meaningful authority months ago. The turmoil continues in many parts of China. "Q. 'What do you think of your government's war in Vietnam? '… A. 'I am not a politician. I am a soldier. Ask that question of the State Department.' "
"The President of the United States takes pleasure in presenting the SILVER STAR to LIEUTENANT COLONEL GORDON A. LARSON, United States Air Force, for gallantry in connection with military operations against an opposing armed force as an F-105 Aircraft Commander over North Vietnam on 11 March 1967. On that date, COLONEL LARSON, while leading the largest single force of F-105's ever assembled, dealt severe damage to the largest steel plant in North Vietnam. He led his large force through marginal weather conditions and through the most dense hostile fire ever encountered by pilots in this force. By the gallantry and devotion to duty, COLONEL LARSON has reflected great credit upon himself and the United States Air Force." This from the Operations Summary of the 469th Tactical Fighter Squadron for May 1967… "The 469th lost its able Squadron Commander, Lt. Col. Gordon A. Larson on May 5th. On that day, in an attack near the outskirts of Hanoi, Lt.Col James Hughes (also of the 469th) who was Lt. Col. Larson's wingman was forced to eject near the Hoa Lac airfield when his engine failed. Lt. Col Larson followed Lt. Col. Hughes down in an attempt to RESCAP and to positively fix his bailout position. Lt.Col. Larson's aircraft was then hit and he bailed out. News stories and photographs have confirmed that both are alive and residing in the Hanoi Hilton." RTR QUOTE for 3 July: ST. JEROME: "Being over seventy is like being engaged in a war. All your friends are going or gone and we survive amongst the dead and the dying as on a battlefield."